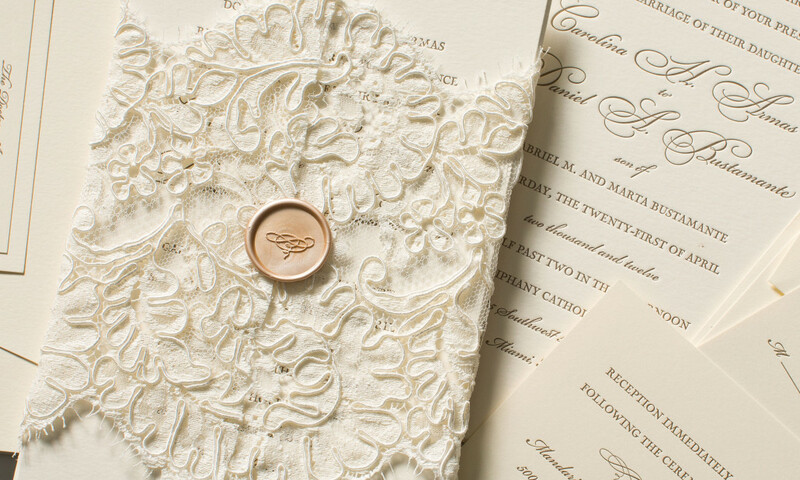 Lace wedding gowns have made a huge comeback recently, so why stop with your gown? 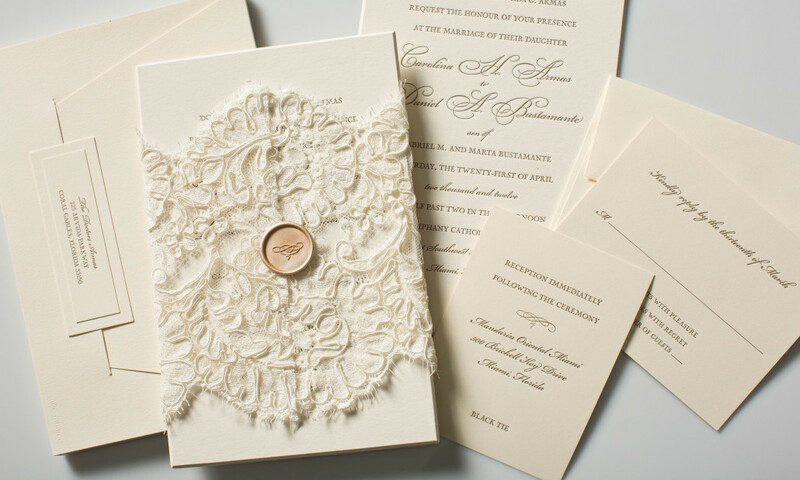 This set features a thick, letterpress and beveled invitation wrapped with intricate lace and sealed with a custom wax seal. Set is shown with a box-like envelope with matching return address seal.